The B chords are chords that have their sound root in the B note and assure you have already noticed. 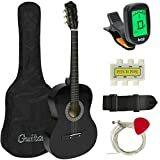 They tend to be the hardest chords to master when you venture into the world of the guitar for the first time, but you can learn to play guitar more fluently in 7 days. As B is a major music note on your table, you will notice that there are several variations which offer different sound outputs and therefore, are suitable for different music styles and chord progressions. So, keep in mind that when looking at the ways to play it and have some fun finding the more suitable way to play it. We will talk more about in which music styles and songs you will often listen to each variation ahead. 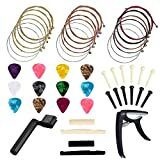 As a general rule, when you go to slide through the neck of your guitar, it is recommended that you hold your thumb in your thumb of the instep of the hand to make strength. In addition, the B chords tend to demand that you use all your fingers so it is important that you have the necessary flexibility so that your little finger works correctly and does not obstruct the vibration of the loose strings. Practice as much as possible, and in less time than you think you will be mastering each of these chords. Commonly referred to as just “B” is the main chord of its note set and one that you will have to learn either way since it is particularly the most common one. As you probably know –It is ok if you don’t- the formula for any major scale is 1-1-1/2-1-1-1-1/2 where each number refers to the number of tones between each note. Now, for a Major chord, the formula is to simply take the notes 1, 3 and 5 from our scale, B-D#-F#. You now know where your chord comes from, but, as a sugar plus, there are other chords in the Bmaj scale that you can use to write some music in this scale progression. You are not obliged to use only the chords inside the same scale to write a song. But, in the beginning, this will help you locate the scale easier which is great for writing and for guitar picking practices as well. 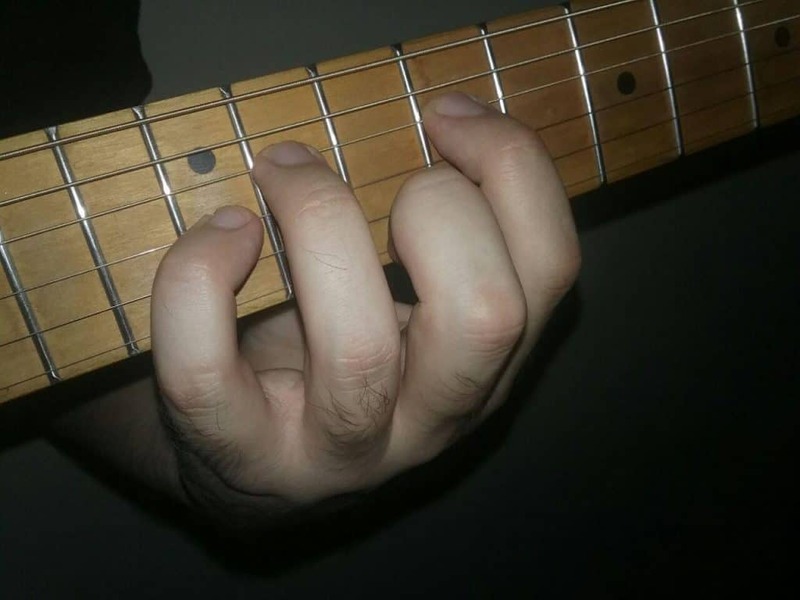 For beginners and for most chord sequenced songs: Place your index finger in the first string/second fret and find a comfortable way to guide your palm through your guitar’s neck. Then, the other three fingers go in the 2nd, 3rd, and 4rth strings of the 4th fret. When playing, make sure to avoid the 5th and 6th strings, they are not part of this chord. Another way to play it, and with a deeper sound output, is to place your fingers like the picture below, starting on the 1st fret. Moving on through your guitar’s neck, you can find Bmaj with a bar in the second fret -This one is like playing Dmaj, but as we said, with a bar in the second fret instead of your guitar’s end-. Or in the seventh, again with a bar, but with its root on the 6th string like in the picture below. Bmin and Emin are your particular Johnny Cash chords since we are talking about B chords, take look at the ways in which you can play out this Bmaj’s sad and dry tone brother. Bmin sound is usually linked with negative feelings like sadness, which is why it is so popular among love and melancholy songs. Differently, from the formula we gave you for a major scale, the minor scale goes this way: 1-1/2-1-1-1/2-1-1 where each number refers to the number of tones between each note. Now, the first chord of the Bmin sequence is Bmin, therefore you use the same formula as we did before and take the notes 1, 3 and 5 from our scale, B-D#-F#. 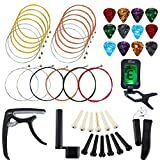 This is the first way to find Bmin in your guitar. Place your index finger in the 1st string/ the second fret. And follow up with your middle finger in the 2nd string/third fret and the other two in the next two strings in the 4th fret. 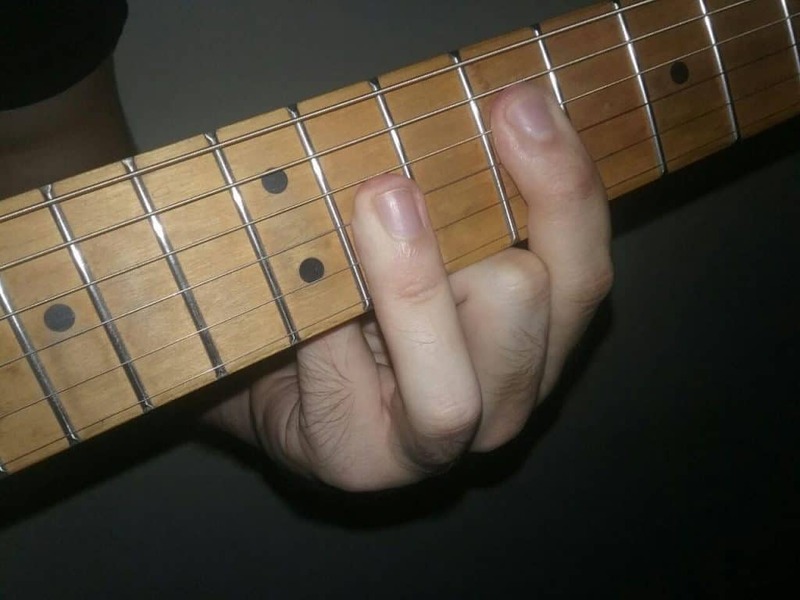 If you already dominated the bar with your index finger, try a more dry output playing with a bar instead and using the 5th string to get a deeper sound, using the 5th string when strumming. There are also 2 ways in which you can play this chord starting the 7th fret, with a half bar trough the 1st, 2nd, and 3rd strings and your 3rd finger in the 9th fret/4th string; or with a full bar and two fingers in the 9th fret 4 and 5th strings. As you may imagine by its location, this last variable offers a clear and sweeter sound. These are commonly used in chord sequences in the high part of blues songs. By the way, the Bmin scale is by itself common in a classic waltz. Speaking of Blues! The B7 is a common chord of the genre and probably the most common variation of the “B” scale. If BB King, Stevie Ray Vaughan or Eric Clapton are part of your inspiration to be here, then you are going to learn some songs which include all variations of this chord. Do you remember the formula for Bmaj? Well, B7 is just Bmaj + the b7th note from B Major scale. This means that your scale will still be B-C#-D#-E-F#-G#-A#-B, but, instead of taking 1, 3, and 5th notes together; you sum up the b7th one –b7th meaning the 7 minuses ½ tone. Unlike the chord we studied before, B7 is a variation, which means that it fits in its original Major scale chord progression, as well as any other in which its notes are part of the scale. For example, you can use B7 in a blues scale: Emin – A7 – E7 – B7 – A7 – Emin. As you can see, this form of B7 begins with B note of the first fret. And then you need to set your other 3 fingers to play the 1st, 3rd, and 5th strings leaving the B note of the second string open. This is the one I use for “Sweet Home Chicago” by the Blues Brothers. It is quite easy to manage if you dominate your bar chords and you can get to it quickly since it is located in from the second fret. This one is common in Jazz music and has a variation mostly destined to play arpeggios. Bmaj7 works just as well as B7, but in this case, the 7th note is added without the reduced ½ tone, resulting in B-D#-F#-A# as your chord composition. The first times you find Bmaj7 in your guitar –starting in the 2nd and 7th frets- require a bar, which is why this chord can be perceived as a hard one. It doesn’t need you to dominate the bar chords yet, but it will grant a clear and interesting tone. There is a glitch though, which is that you have to avoid the 5th string as you play. To end up, here is the easiest version of Bmaj7. Unlike the others, it offers the sharpest sound and is usually part of Jazz and progressive rock chord sets. 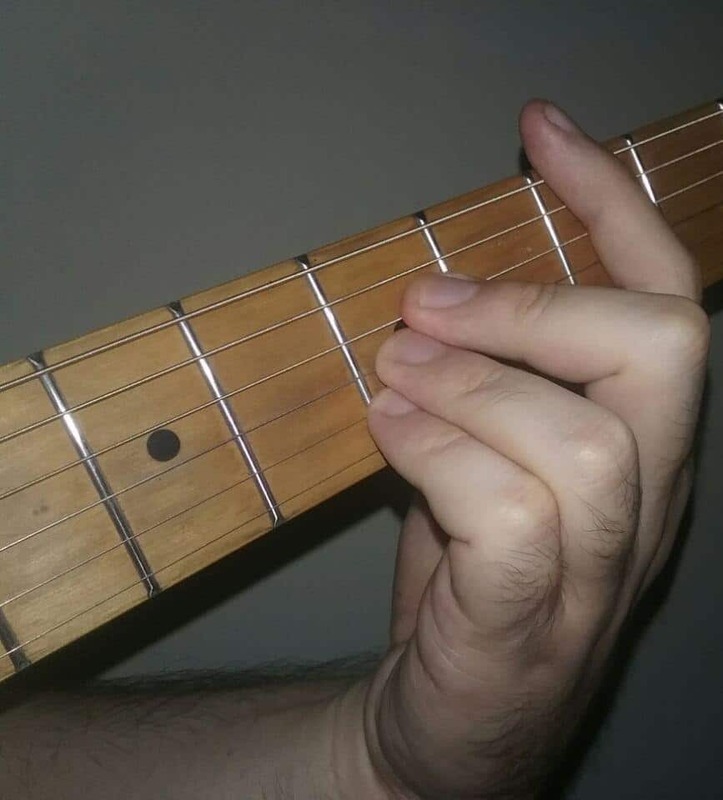 This chord is easier than the others, yet it is more used as a bridge chord to connect two stronger sounds. This chord is very maneuverable which is why it bridges in combinations along many songs. Minor chords are usually tricky. You see, they can be obtained from, either using the major formula in the minor scale -Like we said in the Bmin explanation- or using the minor formula in the major scale. First, with the second and third strings open, and ignoring the 6th then strumming. 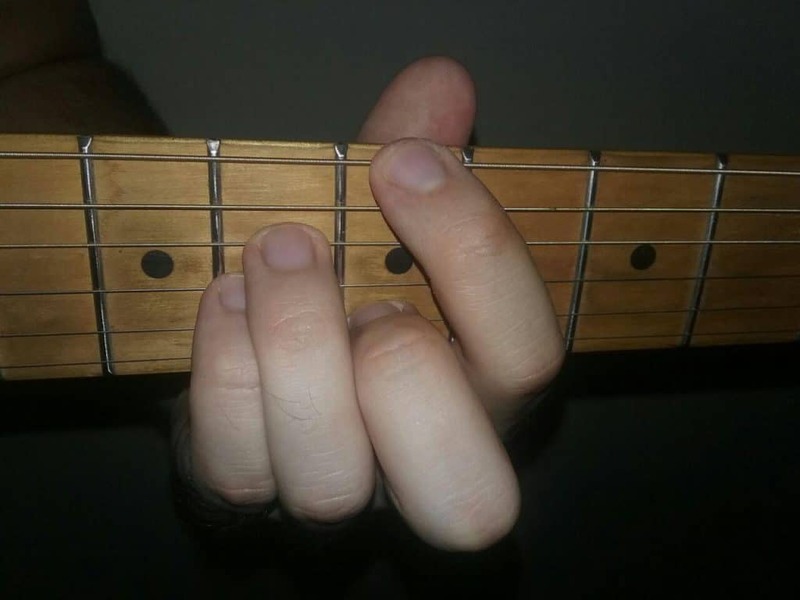 Your second choice is to use a bar in the second fret and guide the chord’s formula with your second and third finger as in the picture. Moving forward, you can hang up the bar in the 7th fret and just close the deal with a finger in the 9th fret/5th string. To finish up, if you ever play Bossa Nova you will get to use this variation a lot. Make a half bar in the first 3 strings of the 7th fret, and place your 2nd and 3rd fingers as in the picture below. 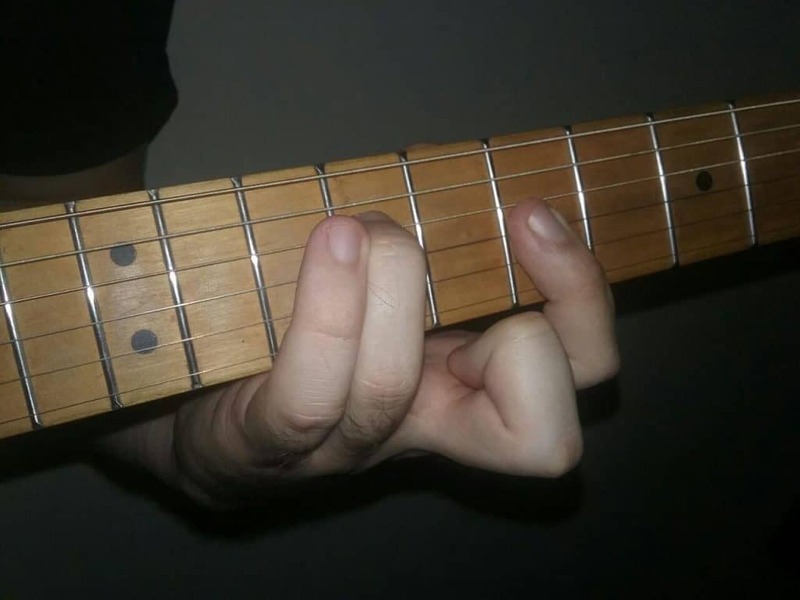 The trick is, while strumming, your little finger can be placed in the first string, variating among the moments you hit the chord in the 10th and 12th frets to add a wonderful skip effect.